When ArtisTree Community Arts Center & Gallery moved into a newly renovated three-story barn and farmhouse in Pomfret last fall, there were no plans to produce a full-scale musical. But this week, that's exactly what ArtisTree will do when it opens its first production, Fiddler on the Roof, in conjunction with Pentangle Arts Council in Woodstock. With a cast of 33 and a nine-piece orchestra, it's a huge undertaking for an organization that didn't even have a theater company until a few months ago. 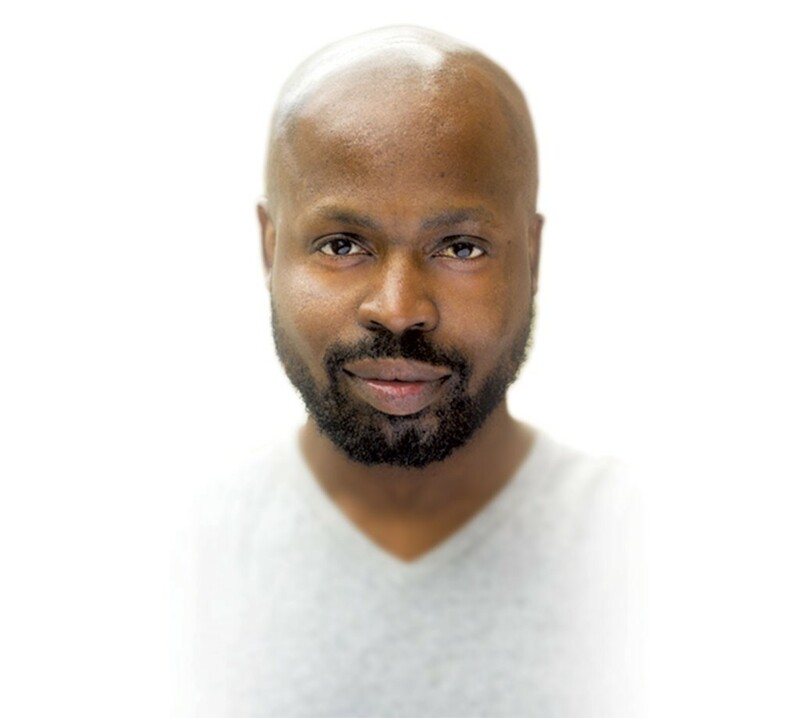 ArtisTree Theatre Company is led by Jarvis Green, who will also direct Fiddler. The production doesn't seem like such a leap of faith when you consider Green's artistic résumé and his success in building a grassroots performing arts organization, BarnArts Center for the Arts, in Barnard. Three years ago, Green was a working actor in New York City when he happened to visit Vermont. He planned to stay for the summer, get an injection of country life and return to NYC rejuvenated. He wound up working at Fable Farm. "It was serendipitous," Green says. "I just stayed and fell in love with the community and with trees and quietness and space — all those essential things you forget about when you live in the city." Rather than returning to New York, Green set about finding a way to build his performing life in Vermont. "I started teaching private voice lessons to get my foot in the door, to see if people would be interested," he says. That December, a Christmas concert he'd organized with about 20 of his students played to sold-out audiences at the First Universalist Church and Society of Barnard. "I went home [to New York] for the holidays," Green recalls. "I wrote in my journal about starting an organization called BarnArts." Back in Vermont, Green started talking to people, and soon BarnArts was born. Over the subsequent two years, it grew into an eclectic community arts organization. Green attracted people who put their talents to work designing sets and costumes, fundraising, and developing a board. He created a summer workshop for teenagers and directed half a dozen musicals, including Little Shop of Horrors and The 39 Steps. In between, Green took acting gigs around the Upper Valley — most recently in Clybourne Park and Twelve Angry Men at Northern Stage. He directed a cast of 65 teens in Seussical for North Country Community Theatre in Lebanon, N.H., and was rewarded with nominations for best director and best musical director from New Hampshire Theatre Awards. When ArtisTree asked Green to start a theater program, it struck a chord. At BarnArts, he'd done all kinds of programming to develop an affinity with the community. "But I want to do theater," he says. "It's what I've spent the last 15 years doing." As BarnArts' founding artistic director, Green still had a chance to see his work there come full circle after his departure. "In December, I sat in the audience and watched the Christmas concert in the church in Barnard," Green says. "It was a full house." The theater program at ArtisTree will complement existing art and music programs. Green says he chose Fiddler because of how ArtisTree operates — in the building, in its community, in its family. "There are always children around. We really don't say no to people," he explains. "It's about community, tradition, love, marriage." For the production, ArtisTree is collaborating with Pentangle, which operates the Woodstock Town Hall Theatre. Now in its 40th season, Pentangle is the perfect partner for the young upstart. The arts organization has the in-house technical expertise and marketing and operations infrastructure to support a production. For example, technical director Dan Merlo has worked the Town Hall Theatre for decades; his son, Charlie Merlo, will design sound for Fiddler. New York-based actor Robert Summers II will reprise the role of Tevye, the charismatic father of five daughters. "Robert has appeared as Tevye over 200 times," Green says. "It's an honor to have him. And our choreographer, James Kinney, is using Jerome Robbins' original choreography." Other members of the creative team include Adrian Tans, scenic design; Jeffrey Bruckerhoff, lighting design; and costume designer Tracey Sullivan. In addition to a handful of New Yorkers, the cast includes local actors Claes Mattson (Lazar Wolfe), Corey Armstrong (Rabbi) and Sara Norcross (Grandma Tzeitel), among others. That nine-piece orchestra will perform Fiddler's celebrated score, by Jerry Bock and Sheldon Harnick, featuring beloved songs such as "Sunrise, Sunset," "If I Were a Rich Man" and "Tradition." If the hard work of ArtisTree Theatre Company, Green and the cast and crew pays off, this will be the start of a new tradition in Woodstock. The original print version of this article was headlined "A 'Green' Light for ArtisTree's New Theater Company"